Founded in the dark days of 1940, at the beginning of the country's occupation by the Soviet Union, the Latvian Radio Choir takes an unconventional approach to choral music, foregrounding the unique timbre of each of its twenty-four virtuoso singers. Rather than asking these talented musicians to sacrifice their individuality for the sake of a smoothly blended and unified sound, conductors Sigvards K¿ava and Kaspars Putni¿¿ trust them to sing out, creating what they call a "timbral bouquet." 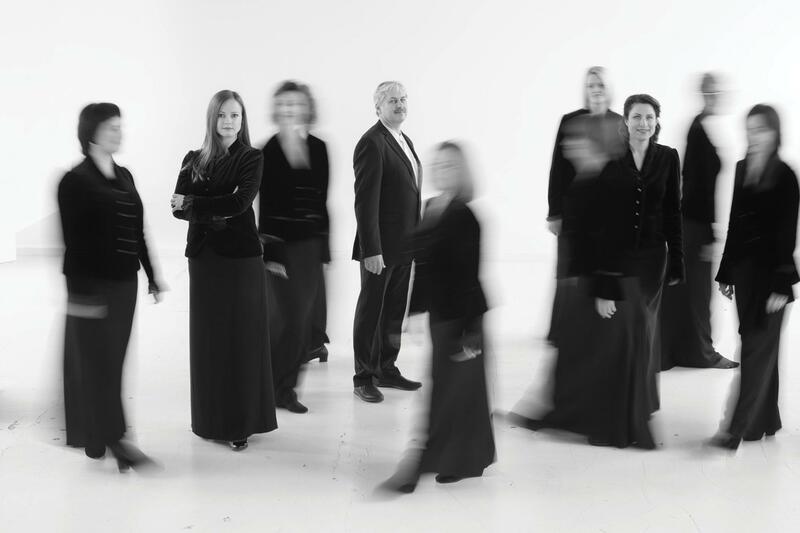 To augment its already broad repertoire, the choir commissions ten new works by Latvian composers each year. At Duke Chapel, the Latvijas Radio Koris, as they are known at home, sing a largely sacred program of music from the sixteenth century to the present day. Their program is bookended by two Venetian renaissance motets from Giovanni Gabrieli's Sacrae Symphoniae, and includes early sacred works by Gesualdo and Purcell; modern sacred works by Stravinsky, Messiaen, and Pärt; and arrangements of haunting Mahler lieder - Ich bin der Welt abhanden gekommen and Die zwei blauen Augen - that work beautifully in a sacred context. The concert would not be complete without a Latvian composition: P¿teris Vasks' Our Mothers' Names, which mixes ancient sonorities with stunning modern counterpoint.